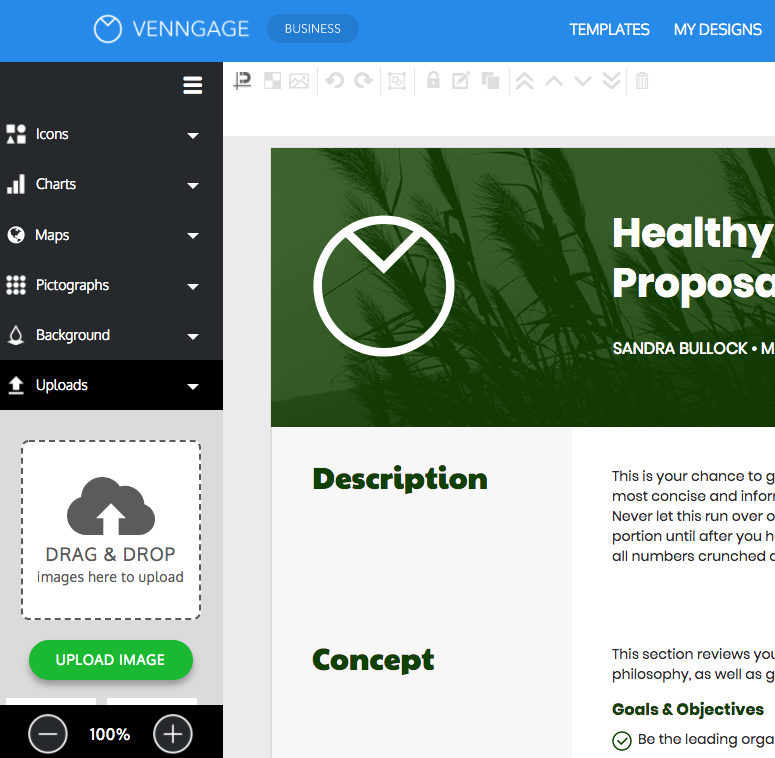 Create a proposal that makes a winning case with Venngage, the online proposal maker. 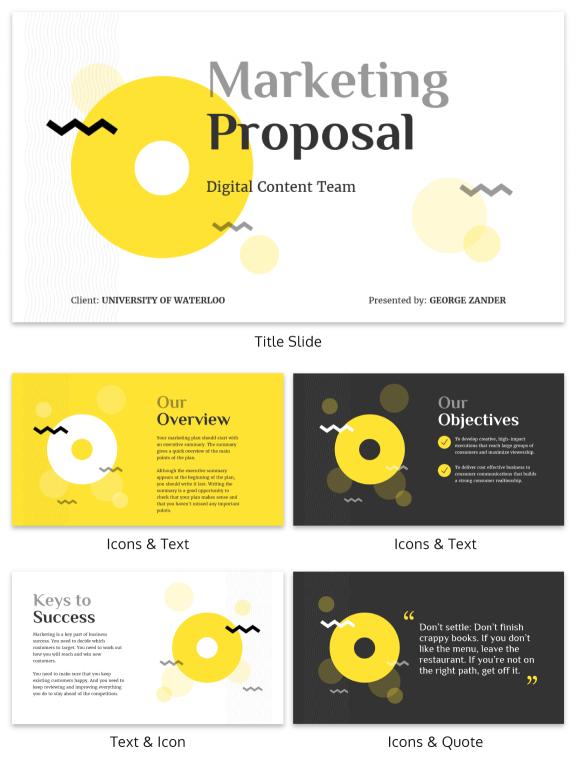 Hook your audience and show them the value of your proposal with a keen proposal design. Whether you're writing a proposal for project funding, business partnerships, or new clients, design and functionality are important elements of a professional proposal. But we get it - you're often working under tight time constraints and within a tight budget. You shouldn't have to compromise the quality of your proposal and potentially lose out on opportunities. That's where Venngage can help. 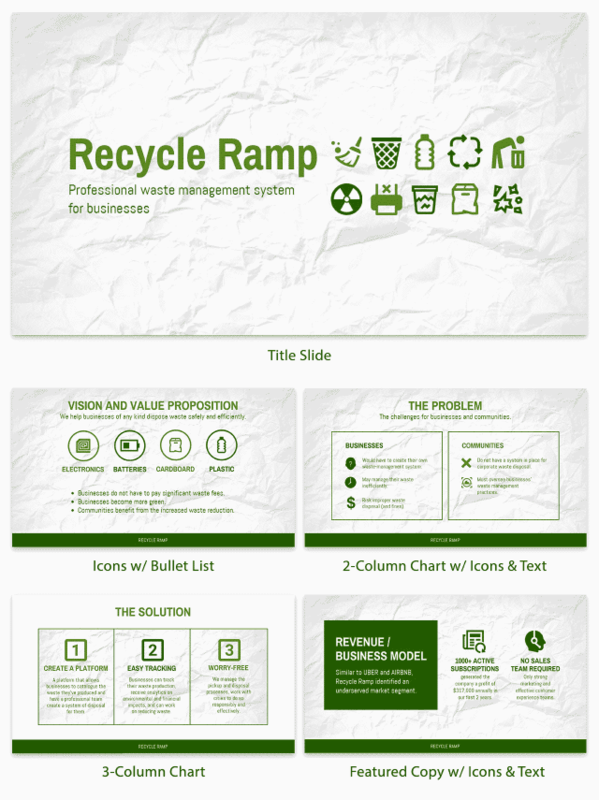 Venngage offers a library of fully customizable templates. Our web-based graphic design software can be accessed anywhere, so you can create proposals on the go. 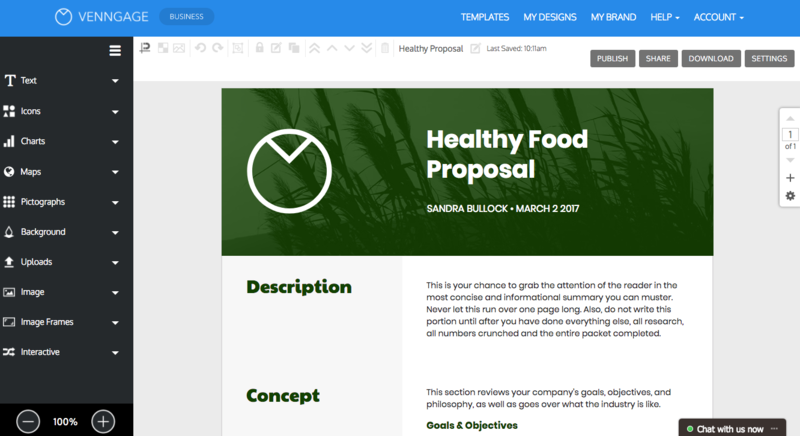 Pick a proposal template that fits your goals. Add and remove pages, and arrange your page layout. Customize the color scheme, fonts, and images to fit your brand. Download your resume in high quality, for both digital and print distribution. Who are you sending your proposal to? What is the issue you want to draw attention to? What are the requirements of your proposal? 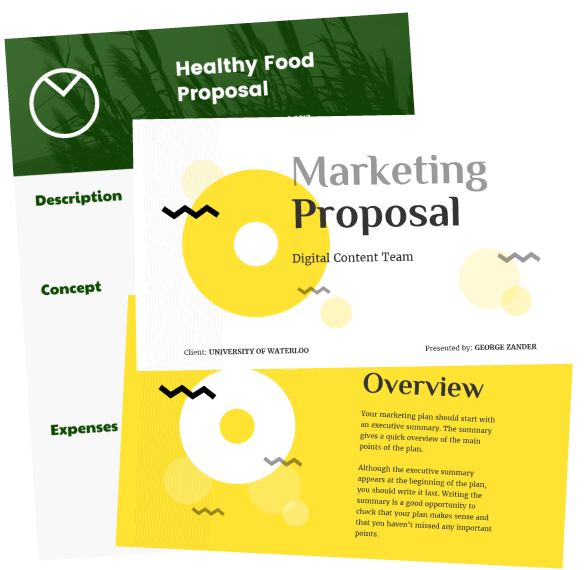 Pick a proposal template that will appeal to your audience and emphasize your most important information. 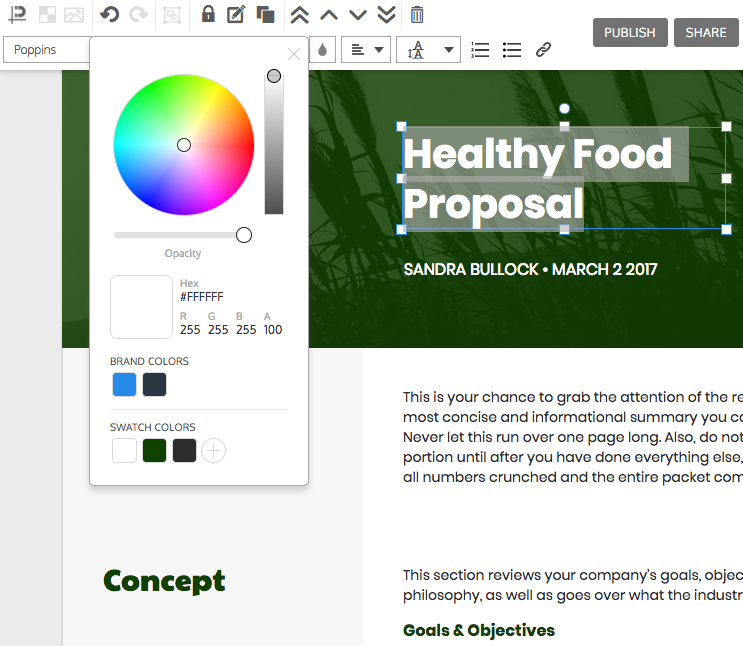 Venngage's freeform canvas makes it easy to move around text, images and headers. Start with a template and customize the layout as much or as little as you want. As the saying goes, "show, don't tell". 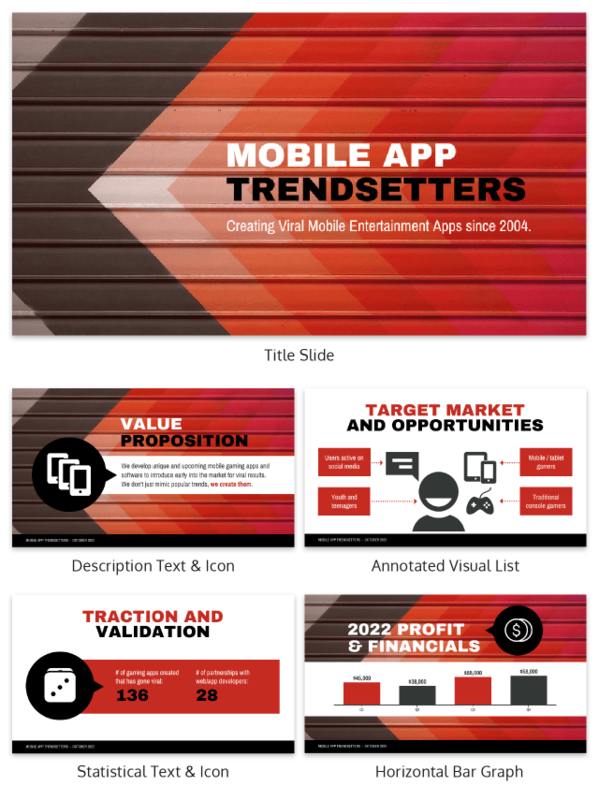 Add visuals like charts, infographics, photos, screenshots, and icons to reinforce your text. Pick from our library of visuals, or upload your own images. Cohesive branding helps reinforce your business or organization's credibility. Save your brand logo and colors for easy branding now and in future designs. Venngage has an extensive library of templates for people with all levels of design experience. Just pick a template that fits your goals and the type of information you want to include. Create both letter format proposals and proposal presentations. Our freeform canvas allows you to edit your template as much or as little as you want. 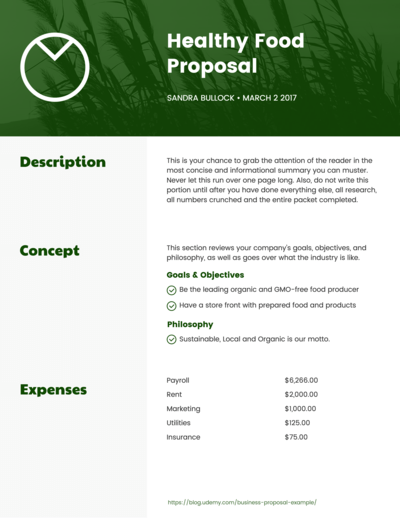 When you start with a template as a framework, creating a professional-quality proposal becomes much less intimidating. Nobody likes looking at a wall of text. 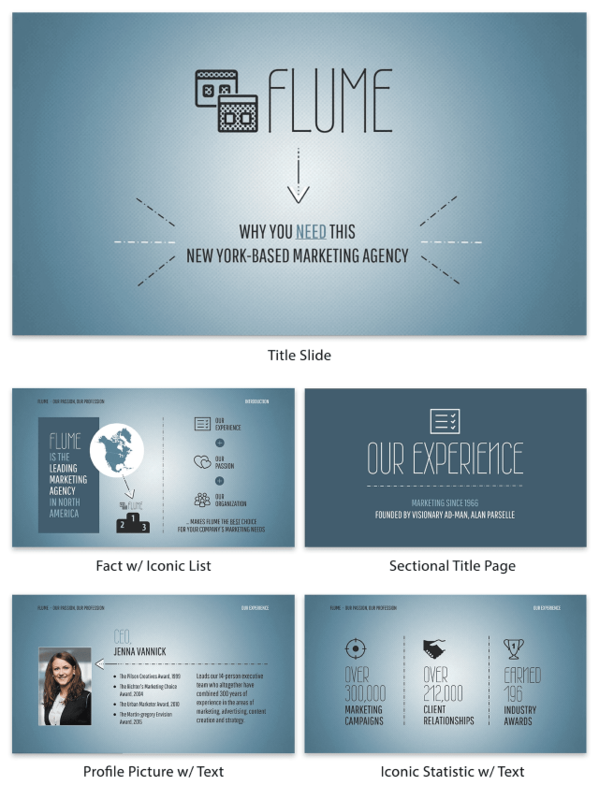 An visual can appeal to your audience's emotions, and can help give them a deeper understanding of your information. An infographic or chart is not only more engaging, it can also make your information easier to understand. You can copy and paste your data into the chart editor, and customize the chart styles in just a few clicks. Venngage offers a library of over 40,000 icons to choose from. Simply search for a topic and pick from a selection of both flat and illustrated icons. Favorite icons so you can find them easily next time. Venngage offers an extensive stock photo library. But if you want to use your own images, simply upload them into your personal image library and save them for future designs. 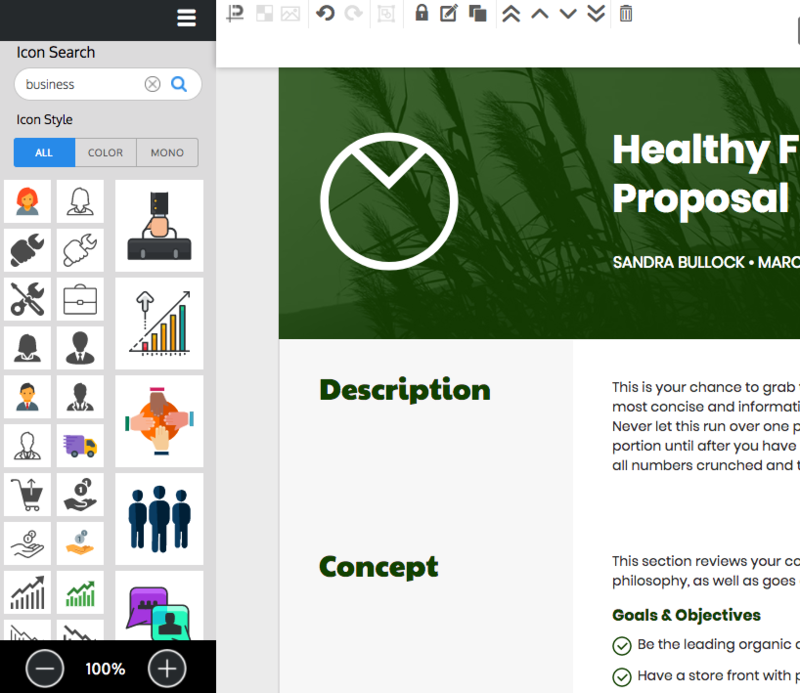 Upload your logo for easy access next time you want to create a proposal. Include photos of past successes, your team, and clients you've helped in the past. Adjust the sizes of your images and use color filters, image frames, and borders to incorporate them seamlessly into your design. Do you want your proposal to include your brand color schemes, fonts and logos? Venngage makes it easy to create a proposal to your particular specifications. Pick a color using the color wheel, or paste hex codes directly into the color picker tool. You can change the colors of your fonts, icons and charts in just a few clicks. Find fonts that fit your brand and industry in our font library - decorative fonts, minimalist fonts, classic fonts, and more. With Venngage, you can download your proposal in high quality PDF or PNG format. 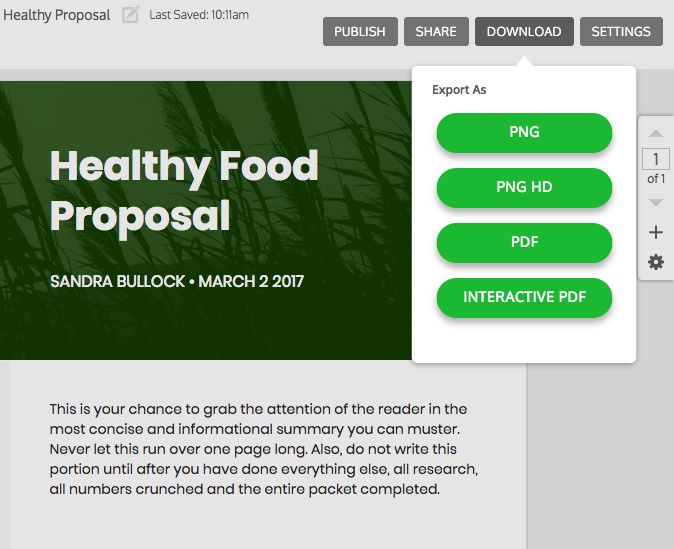 You also have the option of downloading your proposal as an interactive PDF. Optimize your proposal for both digital or print distribution, to fit your specific needs. To start designing with Venngage, simply create an account using your email, Gmail or Facebook account. Can I edit my proposal after it's saved? Yes! You can go back and edit your proposal at any time. 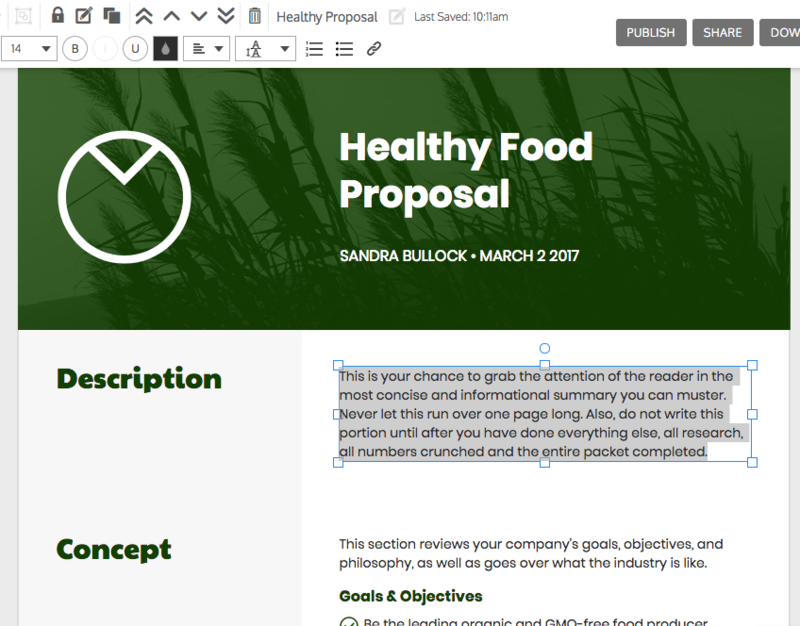 Simply open the draft in your "My Designs" library and continue editing your proposal. Can I add or remove pages in my proposal? Yes, you can add, remove and rearrange pages uses the page menu on the right side of the screen.